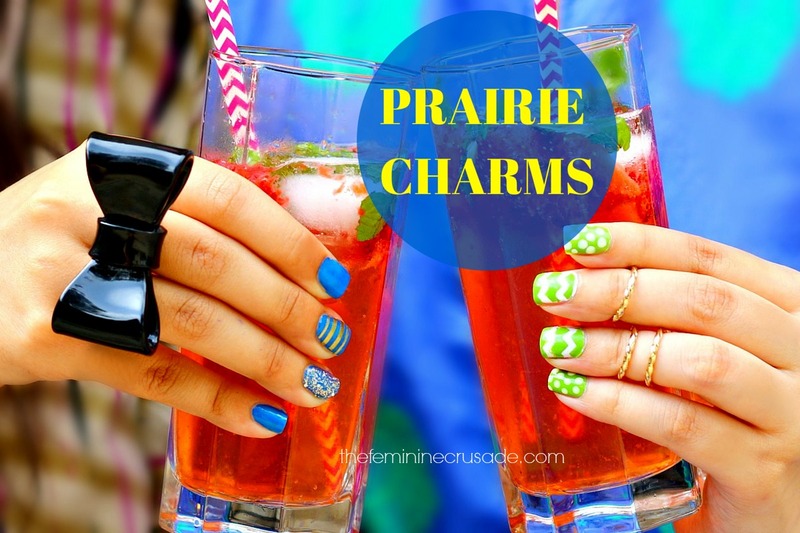 A while back Prairie Charms contacted me to participate in their spreading positivity campaign; how little gestures can inspire others and just make someone's day. If you are sad at your side of the world, grab your friends, go crazy nail painting and then frolic in the sun with some refreshing cocktails. 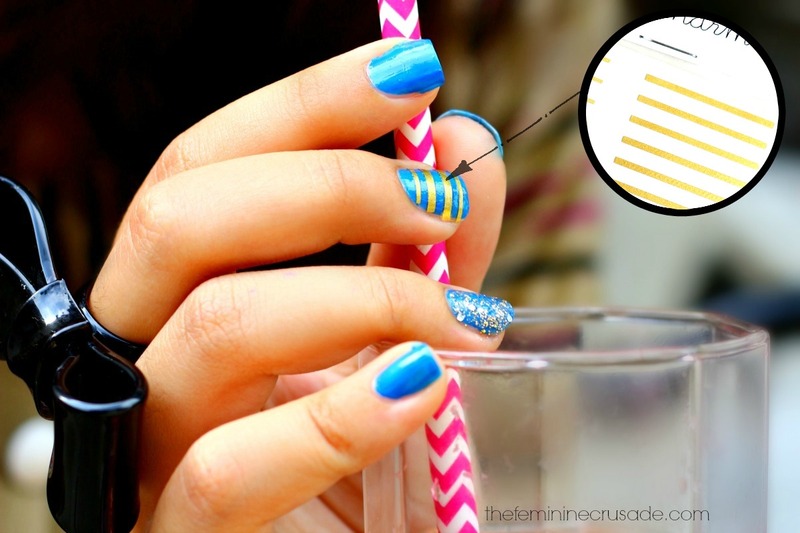 We did our nails using the chevron and gold strips nail vinyls. It was hell fun. 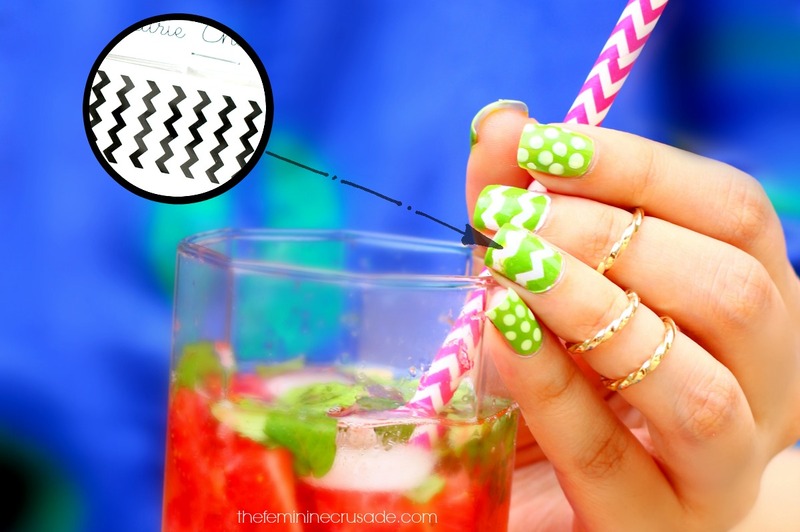 The nail vinyls were so easy to use and my mind was already running with bundles of ideas. To freshen ourselves up we made Strawberry Mojito, which was the best thing ever! Strawberries, mint and soft drink...what else do you need to beat the heat. Since that day I have gotten myself addicted to this. 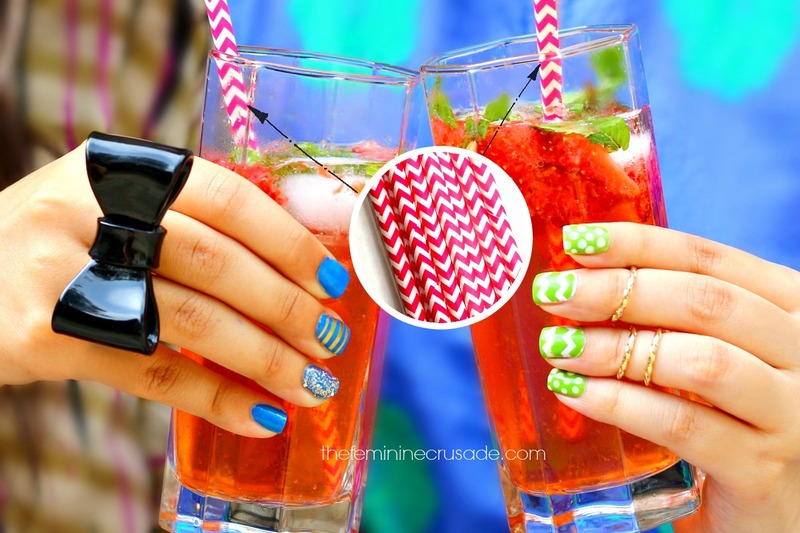 To jazz up our glasses we added the cutesy pink chevron straws. Here is everything I got from Praire Charms, with my own money. 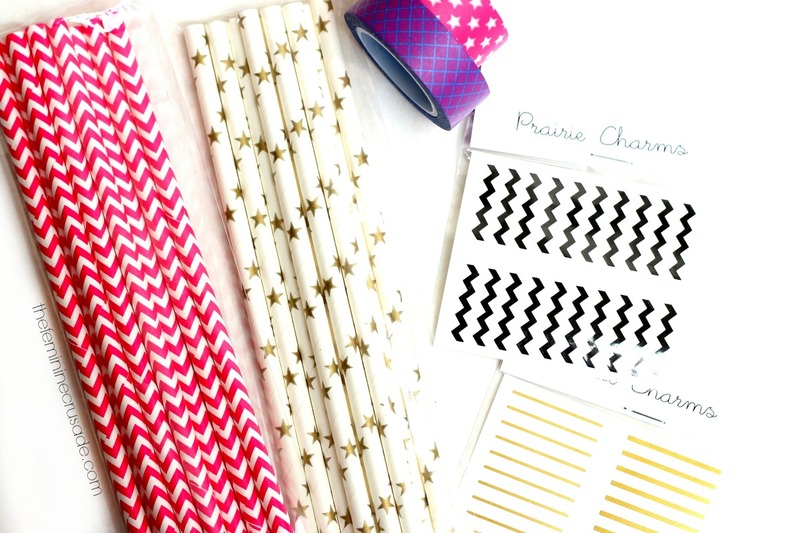 After I had placed my order, the company was so kind to send the shown Gold Heart Paper Straws and Gold Stripes Nail Vinyls as gifts. And I am going to amp up my room, presents, scrapbook, picture frames and basically everything I can get my hands on with the pink and purple Macie Washi Tapes. Teehee!